You’ve decided it’s time to sell-up and move on. Of course there are the phone calls to real estate agents and getting that all important “For Sale” sign outside the house, but what can you do to prepare your house to draw a stampede of buyers to your door offering top dollar for your home? While the idea of sprucing up the place may sound expensive, there are some great ways to get your home ready to sell that cost little or next to nothing, but will add value to your home in the eyes of a buyer.Your home is your castle, so it probably reflects your personality and taste. But now that you are ready to sell, it’s not your home anymore. It’s a house and you must get it ready for someone else to call it home. Your preparations should inspire prospective buyers to see themselves living there. Here are some pre-sale preparation tips. Before they see the house, they see your lawn. You may have been putting off getting your front yard or back garden taken care of, but curb appeal is the first impression buyers will get of your home. Discuss ideas with a landscaping company like www.arbor-nomics.com, who will be able to advise you on current trends and best options for your particular space. Re member, a well-manicured lawn and garden shout value to a buyer, plus it’s one less thing they’ll have to do when they move in. Color plays a huge role in how a house is perceived, and selecting the right colors for walls and accents can entice a buyer to purchase your property. Opt for neutral tones on the walls which will make rooms seem light, open, and spacious. Keep accents neutral as well if possible. Though this may seem like common sense, it’s amazing how many sellers underestimate what a clean and tidy house means to buyers. Take a deep breath, dive in and purge and pack away any non-essential items and clean up clutter. Try depersonalizing your home by taking down family photos, keepsakes, and knick-knacks so that a prospective buyer can visualize their own items there. Make sure floors have been mopped and carpets have been shampooed to make the best impression. When you’re in a hurry to get your house prepared for sale, throwing everything into a closet, garage, or sh ed might seem like the easiest option. Don’t yield to that temptation. House hunters love to snoop around, checking out closets, pantries, utility sheds and other storage areas. They want to know how much space there will be for their own personal items. By making these areas neat and tidy, they’ll see how well your storage space works, thus adding value to your home. We’ve all got them — those little do-it-yourself projects that sit neglected and half-done. Look at selling your house as an opportune time to fix everything on your list. 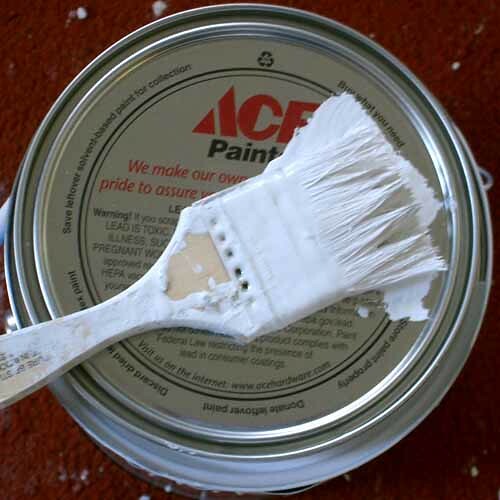 Fill any holes or cracks and give them a touch up of paint. 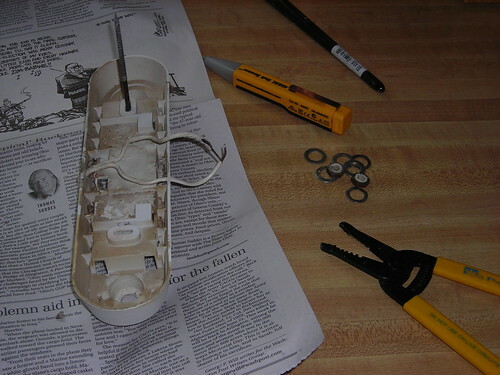 Replace wonky light fixtures an dead light bulbs. Get to work on any doors or drawers that don’t fully close or that stick. It’s the little things that add up for buyers, and you want them to feel like they’re in the house of their dreams. Getting your house ready for buyers doesn’t have to be a never ending chore. Instead, let it motivate you to declutter your whole life, getting rid of the dead weight in your life. You’ll be that much further along when you move into your new home. By treating your house as “their house” from the start, you’re sure to attract the right buyer right to your door. Writer LaGeris Underwood Bell is following these tips in preparation for her own move back to North Carolina. She has found that the services of a company like www.arbor-nomics.com can be invaluable when preparing a home for sale.